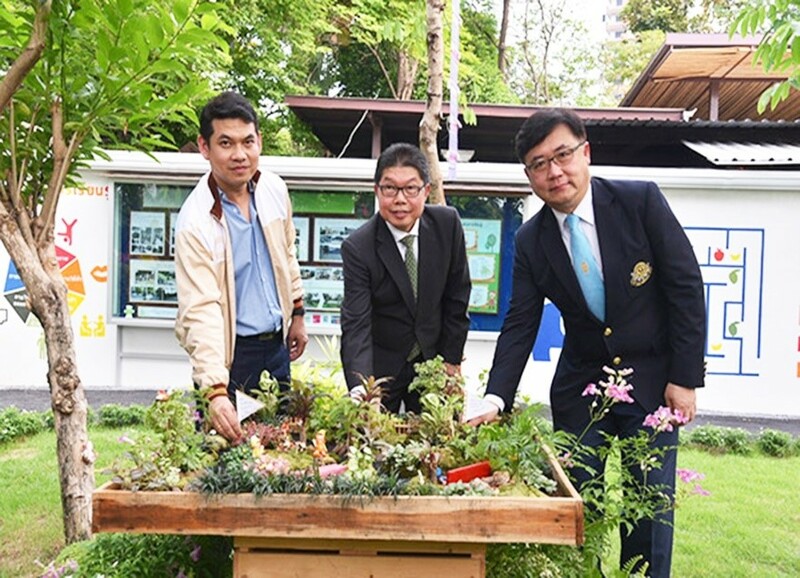 Dr. Pornchai Mongkhonvanit, President of Siam University, Mr.Taweesak Lertprapan, Bangkok Metropolitan’s Deputy Governor and Dr. Pairoj Saonuam, Director of Office of Health Promotion in Health Service System made an official opening of the “Healthy Space and Learning Garden, Siam University” on Wednesday, April 4, 2018. 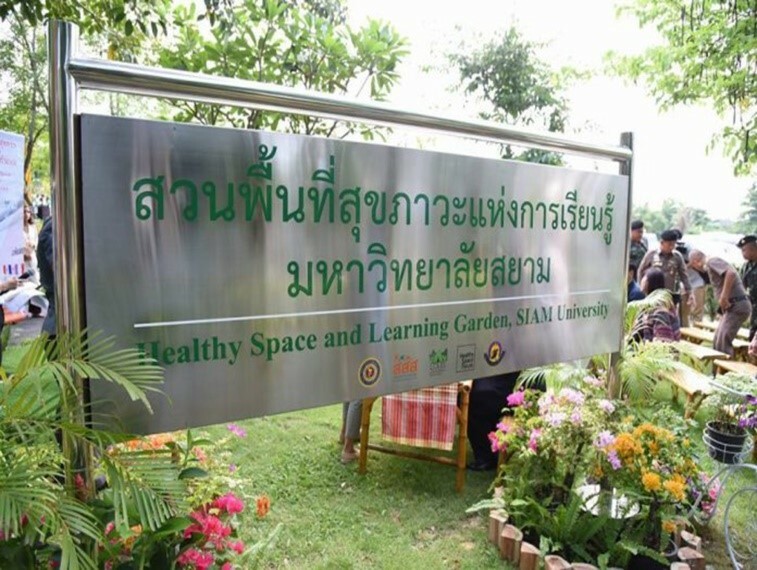 This space had been developed collaboratively by the Research Center for Community Development and Siam University. The above-mentioned organizations and people in the community turning the waste ground behind S.U. 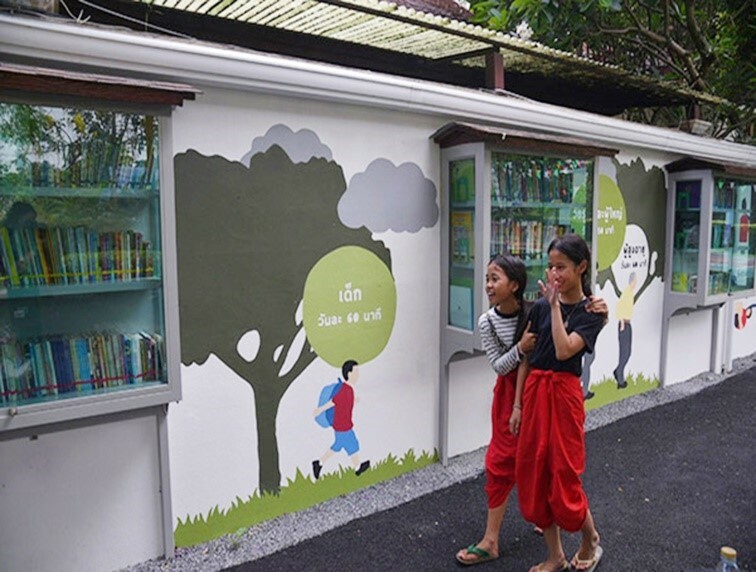 campus into an open public ground for the benefit of community activities such as exercise, meetings, or to seek knowledge from books available on shelves along the wall of Mr. Sunchat Sriarunsawang’s nearby residence. This is not only “The Living Lab” for S.U. students but also “The Model of Community’s Health and Learning Space” for other Bangkok Metropolitan’s communities.